One of those quintessential, "let's find out about you" questions. My mom would say salty. If she's gonna snack she wants pretzels, potato chips, etc. She very rarely has a hankering for a sweet. Me, I tend to go for sweets if I'm getting the munchies. I'll grab a cookie or candy or brownie, etc. etc. over a bag of salty snacks any day of the week. But you know what sounds even better? Not having to choose. I'm the kinda girl who wants to have it all, and I like to think all you wonderful people like the sound of that as well. 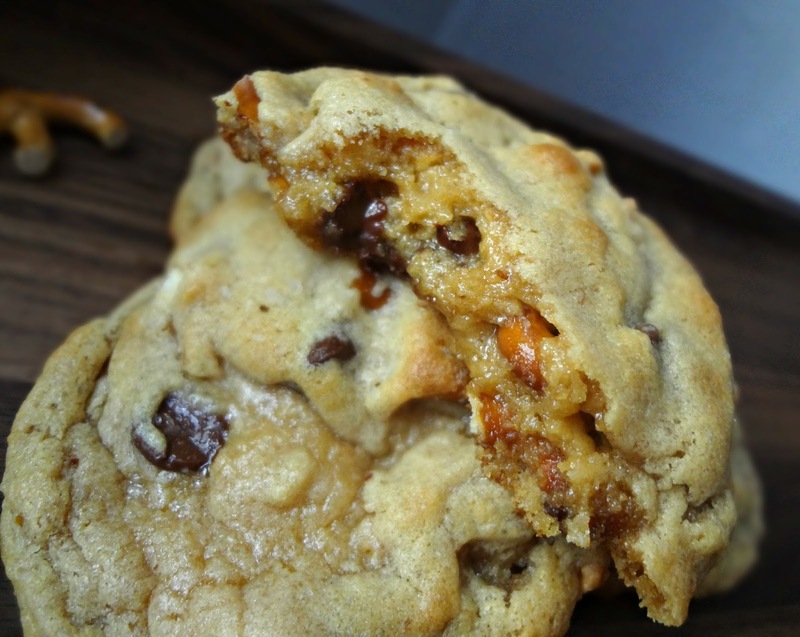 So let's get our sweet and salty fixes together, in one nummy cookie package, so no one has to choose! 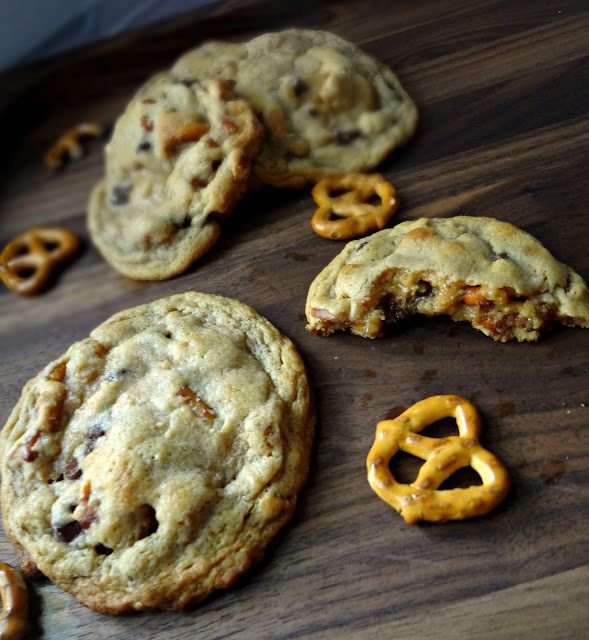 I'm obviously not alone in wanting to have my cake and eat it with salted caramel too :P It's become a huge trend: chocolate covered potato chips, putting sea salt on sweets (such as brownies and, my personal obsession, cookies). Something about salt brings out the sweetness of well...sweets. The perfect little bit of yin to emphasize the yang. Most dessert recipes call for a little bit of salt, which is really only present for the purpose of amping up the flavor. 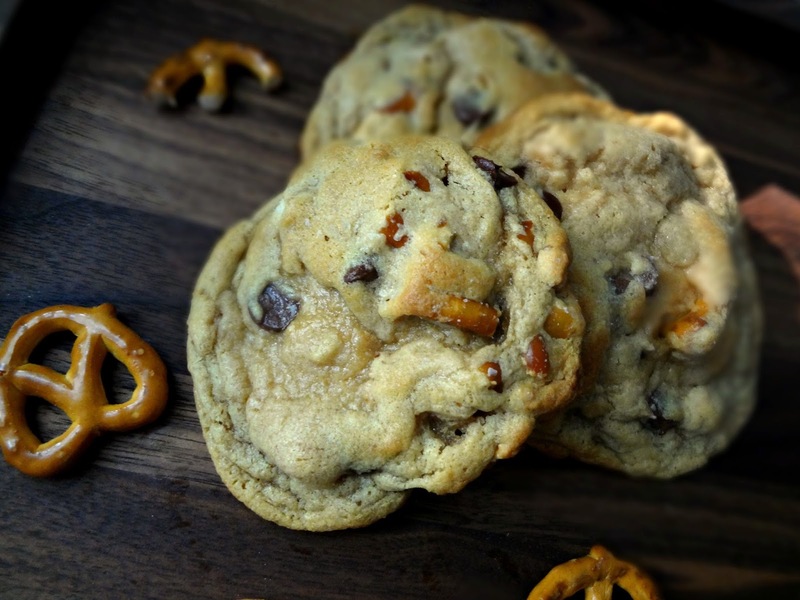 Sweet and salty desserts bring that logic to the next level. And I am alllll about it! 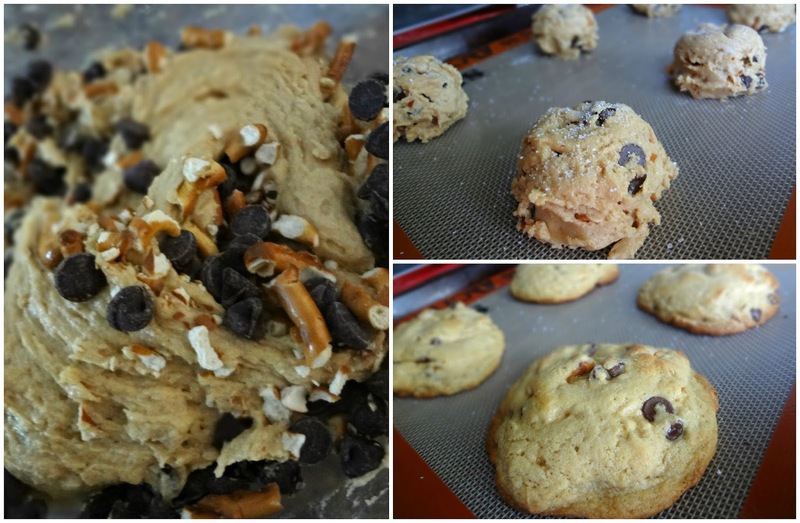 What we're working with here is a peanut butter brown sugar cookie base with chocolate chips and pretzel pieces and then of course the wonderousness of being topped with a bite of salty goodness. 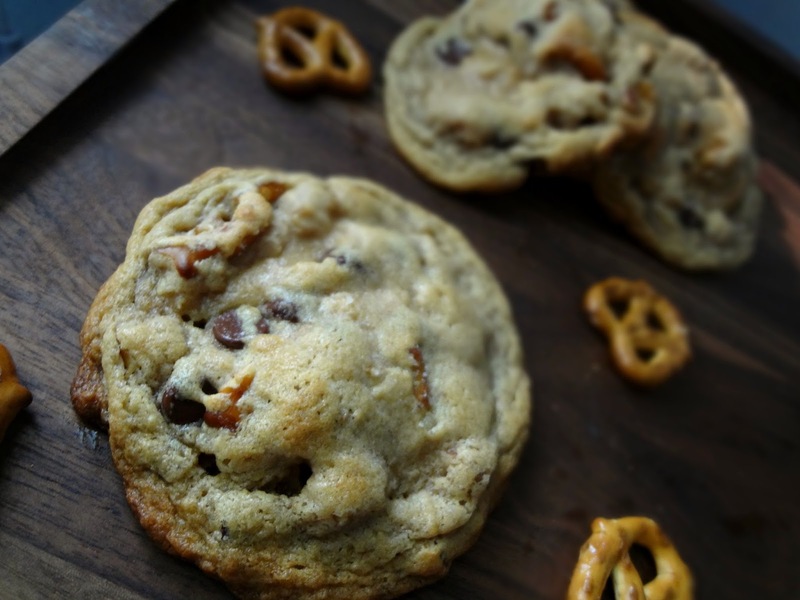 They're ooey gooey cookies with bits of crunch from the pretzels. Heaven on your tastebuds people. From Keep It Sweet Desserts' "Big, Chewy, Sweet and Salty Peanut Butter Cookies"
In a medium bowl whisk together flour and baking soda. In a large bowl use a mixer to beat butter, peanut butter, and sugars on high until light and fluffy. Beat in eggs and vanilla until fully combined. On low mix in dry ingredients until just combined. Chill dough for at least 2 hours, or up to a week. Line baking sheet(s) with parchment paper or silpat. Preheat oven to 350 degrees. Using a large (1/4 cup) cookie scoop, place cookie dough balls on the prepared baking sheet(s), leaving at least 2 inches of space between. Lightly sprinkle with sea salt. Bake 8-14 minutes until the cookies are browned around the edges.